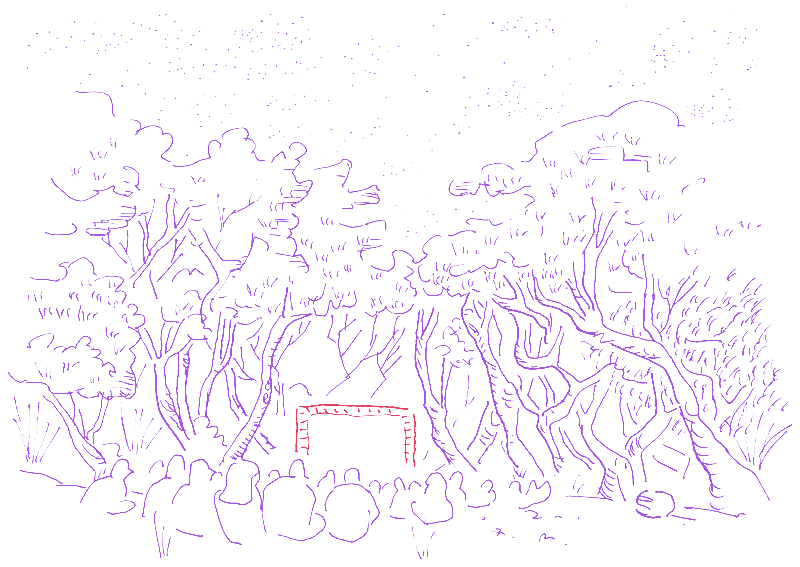 In a secluded and preternatural corner of Bush Camp there is an outdoor cinema. With manna gums overhead, and bracken and other miscreants under foot, the Ecoplex is more cinema than your usual tree house, and more clearing in the scrub than your usual picture house. What shows? That would be stuff that turned left at the lights, planted the foot and ripped the rear view mirror off, and then ate it. The hardware consists of a large 6m x 6m purpose-built screen that sits between two ancient eucalypts, and a six-speaker Super-Sonorama surround audio experience projected by vintage 16mm gear out of a 1978 Jayco SuperTourer Caravan (with annexe). Programmed by Jim Knox, the material on show aims to “enlarge the horizons of the viewer, provide wholesome entertainment, afford helpful stimulation, and remind of the responsibilities one has towards society”. It’s a setting for estranged dreams and endearing nightmares, a wonderland of neurosis that’ll perch on your shoulder and follow you home. It tears the viewer out of the desensitised and disaffected shell of the atomised individual. It’s also a bit silly and plenty FUN. 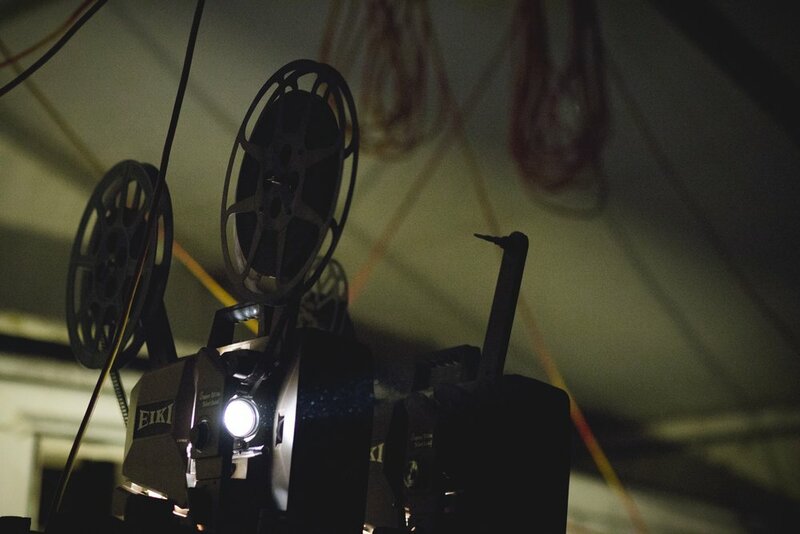 Jim swims the sewers of cinema now-and-past to salvage unfamiliar objects of wonder and delight, both new and misremembered (and damn strange – of course) instruments of celluloid enchantment. The Ecoplex runs basically all night and is designed so you can pull up a log for a short or a long while – many of the films shown are indeed shorts so you don’t need to set your watch for the start of a feature. 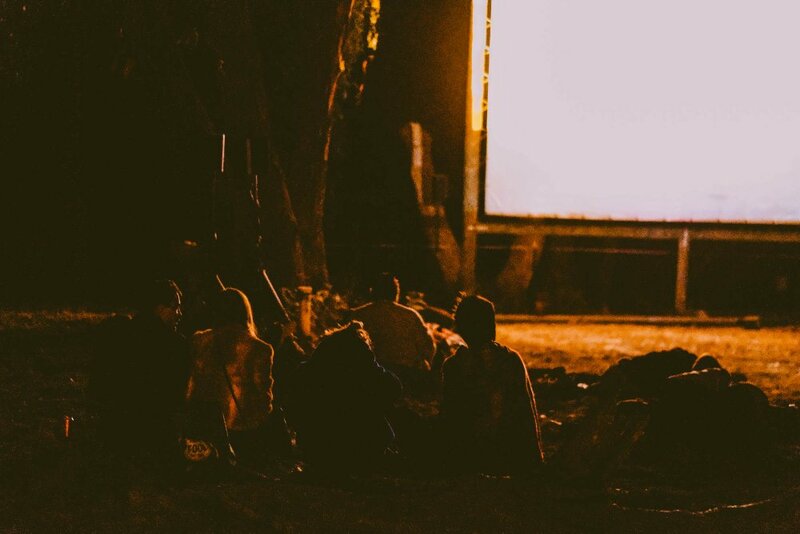 You’ll find the Ecoplex Outdoor Cinema in a corner of Bush Camp known as ‘Africa’. Just ask at the Helper Hut as you enter Bush Camp if you need guidance. Impious scrub cinema, and a must-see attraction, things start to get creepy and crawly just after sunset. Only ULTRAVISION with SUPER-SONORAMA provides you with that “you-are-in-the-middle-of-it-all” effect. Accept no substitutes! (not available in indoor hardtop-type cinemas – exclusive to the Meredith Supernatural Ecoplex). Roll yr peepers over the sandwich board at the Ecoplex caravan for more info and scheduled screening times.